HELIGOLAND, Germany — Of all the developed nations, few have pushed harder than Germany to find a solution to global warming. And towering symbols of that drive are appearing in the middle of the North Sea. They are wind turbines, standing as far as 60 miles from the mainland, stretching as high as 60-story buildings and costing up to $30 million apiece. On some of these giant machines, a single blade roughly equals the wingspan of the largest airliner in the sky, the Airbus A380. By year’s end, scores of new turbines will be sending low-emission electricity to German cities hundreds of miles to the south. Erik Olsen contributed reporting from Berlin, Matthew L. Wald from New York, and Chris Cottrell from Heligoland, Germany. The small German island of Heligoland, a popular tourist destination, is undergoing dramatic change as the wind industry takes over. Video Credit By Erik Olsen on Publish Date September 13, 2014. It will be another milestone in Germany’s costly attempt to remake its electricity system, an ambitious project that has already produced striking results: Germans will soon be getting 30 percent of their power from renewable energy sources. Many smaller countries are beating that, but Germany is by far the largest industrial power to reach that level in the modern era. It is more than twice the percentage in the United States. Germany’s relentless push into renewable energy has implications far beyond its shores. By creating huge demand for wind turbines and especially for solar panels, it has helped lure big Chinese manufacturers into the market, and that combination is driving down costs faster than almost anyone thought possible just a few years ago. Electric utility executives all over the world are watching nervously as technologies they once dismissed as irrelevant begin to threaten their long-established business plans. Fights are erupting across the United States over the future rules for renewable power. Many poor countries, once intent on building coal-fired power plants to bring electricity to their people, are discussing whether they might leapfrog the fossil age and build clean grids from the outset. A reckoning is at hand, and nowhere is that clearer than in Germany. Even as the country sets records nearly every month for renewable power production, the changes have devastated its utility companies, whose profits from power generation have collapsed. A similar pattern may well play out in other countries that are pursuing ambitious plans for renewable energy. Some American states, impatient with legislative gridlock in Washington, have set aggressive goals of their own, aiming for 20 or 30 percent renewable energy as soon as 2020. The word the Germans use for their plan is starting to make its way into conversations elsewhere: energiewende, the energy transition. Worldwide, Germany is being held up as a model, cited by environmental activists as proof that a transformation of the global energy system is possible. But it is becoming clear that the transformation, if plausible,will be wrenching. Some experts say the electricity business is entering a period of turmoil beyond anything in its 130-year history, a disruption potentially as great as those that have remade the airlines, the music industry and the telephone business. Taking full advantage of the possibilities may require scrapping the old rules of electricity markets and starting over, industry observers say — perhaps with techniques like paying utilities extra to keep conventional power plants on standby for times when the wind is not blowing and the sun is not shining. The German government has acknowledged the need for new rules, though it has yet to figure out what they should be. A handful of American states are beginning a similar reconsideration of how their electric systems operate. The potential payoff for getting the new rules right is enormous: a far greener electricity system that does not pump as much greenhouse gas and other pollution into the atmosphere. Yet as the German experience shows, the difficulties of the transition are likely to be enormous, too, and it is still far from clear whether the system can be transformed fast enough to head off dangerous levels of global warming. One recent day, under a brilliant California sun, saws buzzed as workers put the finishing touches on spacious new homes. They looked like many others going up in Orange County, south of Los Angeles, but with an extra feature: Lennar Corporation was putting solar panels on every house it built. The prices of the panels have plunged 70 percent in the past five years. That huge decline means solar power is starting to make more economic sense, especially in parts of the United States with high electricity prices. At about 100 Lennar subdivisions in California, buyers who move into a new home automatically get solar panels on the roof. Lennar, the nation’s second-largest homebuilder, recently decided to expand that policy to several more states, starting with Colorado. The company typically retains ownership of the panels and signs 20-year deals to sell homeowners the power from their own roofs, at a 20 percent discount from the local utility’s prices. 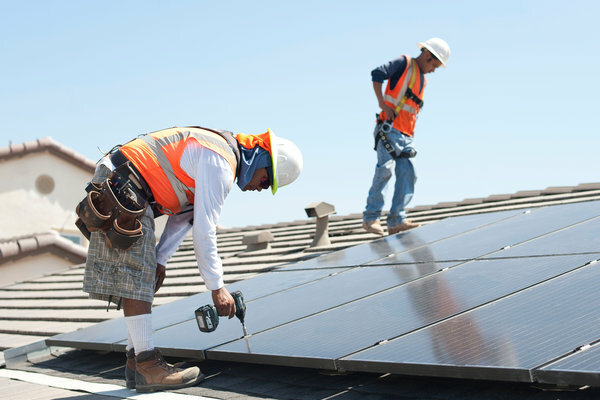 “It’s so simple when we tell a customer, ‘You’re guaranteed to save money,’ ” said David J. Kaiserman, president of Lennar Ventures, the division overseeing the solar plan. The shifting economics can largely be traced to China, by way of Germany. Over the past decade, the Germans set out to lower the cost of going green by creating rapid growth in the once-tiny market for renewable power. Germany has spent more than $140 billion on its program, dangling guaranteed returns for farmers, homeowners, businesses and local cooperatives willing to install solar panels, wind turbines, biogas plants and other sources of renewable energy. The plan is paid for through surcharges on electricity bills that cost the typical German family roughly $280 a year, though some of that has been offset as renewables have pushed down wholesale electricity prices. The program has expanded the renewables market and created huge economies of scale, with worldwide sales of solar panels doubling about every 21 months over the past decade, and prices falling roughly 20 percent with each doubling. “The Germans were not really buying power — they were buying price decline,” said Hal Harvey, who heads an energy think tank in San Francisco. The ripple effects drove some American panel manufacturers out of business, prompting complaints about Chinese government subsidies to the manufacturers who seized much of the market. But the decline also created an opportunity for American homeowners and for companies like Lennar. Wind power, too, has come down sharply in price in recent years, and it is now competitive with the cost of new coal-burning power plants in parts of the United States. The decline in the cost of renewable power spells potential trouble for companies that generate electricity. They make a lot of their money at times of day when demand for power, and therefore power prices, are high. Solar power, even a small amount, could be especially disruptive, shaving wholesale prices during those peak periods. Though growing rapidly, solar power still accounts for less than 1 percent of American power generation, so the disruption has not yet been seen on a large scale in the United States. But some utilities, fearful of losing out as the power mix changes, have started attacking rules that encourage solar panels. Others are taking the opposite tack, jumping into the solar market themselves. Nipping at the heels of those utilities are fast-growing start-up companies that are putting tens of thousands of panels on rooftops and leasing them to homeowners for no money down, with Wall Street banks providing the financing. The hot spot is California, which is aiming for 33 percent renewable power by 2020 and seems increasingly likely to get there. In Germany, where solar panels supply 7 percent of power and wind turbines about 10 percent, wholesale power prices have crashed during what were once the most profitable times of day. “We were late entering into the renewables market — possibly too late,” Peter Terium, chief executive of the giant utility RWE, admitted this spring as he announced a $3.8 billion annual loss. The big German utilities are warning — or pleading, perhaps — that the revolution cannot be allowed to go forward without them. And outside experts say they may have a point. The Achilles’ heel of renewable power is that it is intermittent, so German utilities have had to dial their conventional power plants up and down rapidly to compensate. The plants are not necessarily profitable when operated this way, and the utilities have been threatening to shut down facilities that some analysts say the country needs as backup. The situation is further complicated by the government’s determination to get rid of Germany’s nuclear power stations over the next decade, the culmination of a long battle that reached its peak after the 2011 Fukushima disaster in Japan. As that plan unfolds, shutting down a source of low-emission power, Germany’s notable success in cutting greenhouse gases has stalled. In fact, the problems with the energiewende (pronounced in-ur-GEE-vend-uh) have multiplied so rapidly in the past couple of years that the government is now trying to slow down the transition. “I think we need a little bit of time,” said Jochen Flasbarth, a deputy minister of the environment. As renewable energy sources start to cause gyrations in power supplies and prices, experts contend that clever new market rules could keep the costs reasonable. Some of the innovations they recommend are already in use to some extent — pioneered in the United States, with Germany avidly studying them. They include regular payments to persuade utilities to keep some fossil-fuel power plants on standby for times when renewable sources lag. “It’s like a retainer you pay your lawyer to keep her around in case you need her,” said Jay Apt, an electricity expert at Carnegie Mellon University. But the larger innovations are likely to focus on how people use electricity, rather than on how it is supplied. Techniques to manage demand have been in limited use for decades, but new technologies are enabling a far more ambitious approach. Apple and Google, for instance, areinvesting billions in businesses designed to capitalize on the new opportunities, such as by helping homeowners manage their power use with devices like digital thermostats. Electricity prices, instead of being averaged over a month, could theoretically vary in real time, at least for willing customers. Price spikes would encourage conservation. Conversely, smart chips built into appliances like dishwashers or water heaters could switch the devices on when power was plentiful and prices low. American tests of this approach have been promising. Other methods could help, too. More high-voltage power lines could link wind farms and solar panels in disparate locations, smoothing out the variations. This is politically difficult, but some such lines are being built in both the United States and Germany. For Germans, the unpredictability of onshore renewable power explains the appeal of offshore wind. The stiff, steady breezes in the North Sea and the Baltic Sea mean that turbines built there will produce far more power than land turbines. That is why three utilities have virtually seized control of the tiny resort island of Heligoland, renting out one hotel for 10 years straight. 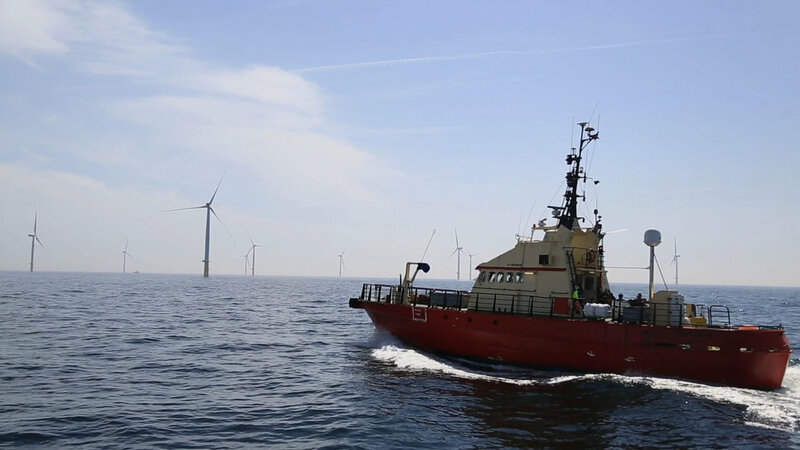 It is the most convenient body of land to use as an operations base for the huge wind farms they are installing, with long-range plans to go as far as 125 miles offshore. The streets of the island are thronged with well-paid workers. “Really, all areas on Heligoland are profiting,” declared Eike Walenda, the manager of a local outfitter and fueling station. The costs of building in the sea are far higher than on land, of course. The price tag of up to $30 million per turbine is not just for the machine itself, but also for power cables, installation and many other items. To induce utilities to go forward, the government has had to guarantee them power prices of several times the market rate. But, just as with earlier forms of renewable technology, the Germans expect the costs of harnessing offshore wind to drop sharply as the market grows over the coming decade. If that happens, the United States could be a big beneficiary. Studies have shown that offshore wind could supply as much as 15 to 20 percent of the power needed by East Coast cities, and construction is about to start on a handful of American projects. For now, the German offshore farms are adding billions to the costs consumers are already bearing for solar panels, onshore wind turbines, biogas plants and the rest of the transition to renewable energy. Polls suggest it is a burden they are willing to carry.